Aloha! 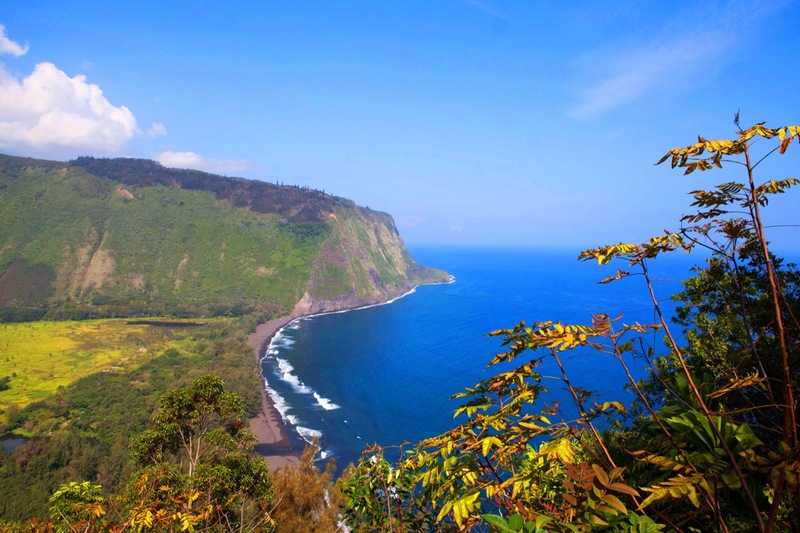 Experience the natural beauty of the Big Island on this Hawaiian adventure. 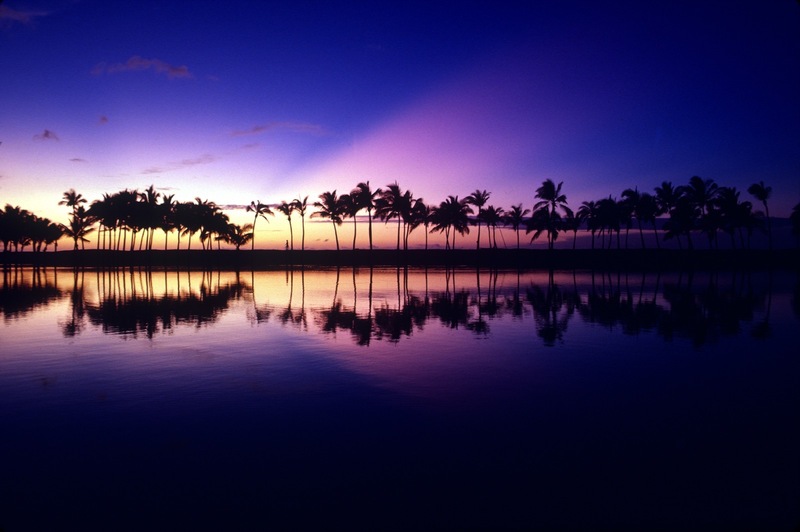 Visit a dramatic variety of the many landscapes that Hawaii has to offer. Explore Volcanoes National Park and hike trails to crater rims, cloud forests, and lava flows. 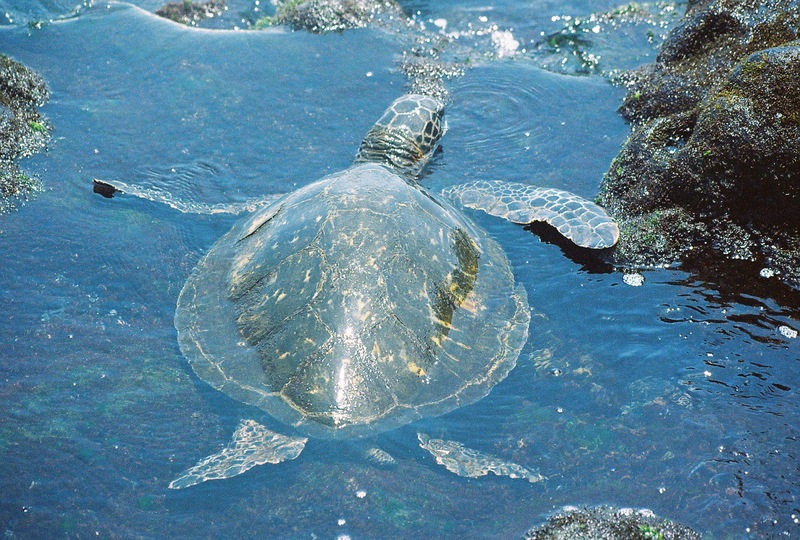 Soak up the sun and watch sea turtles munching on seaweed in the surf. 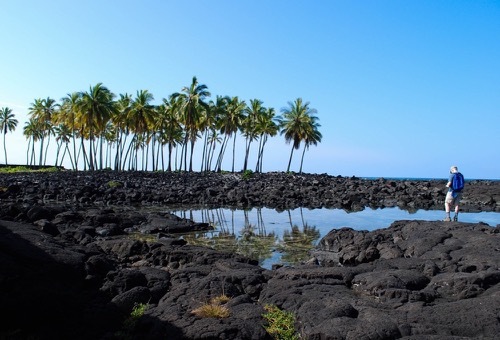 Trek through several of the Big Island’s unique ecosystems and visit the southernmost city in the US. 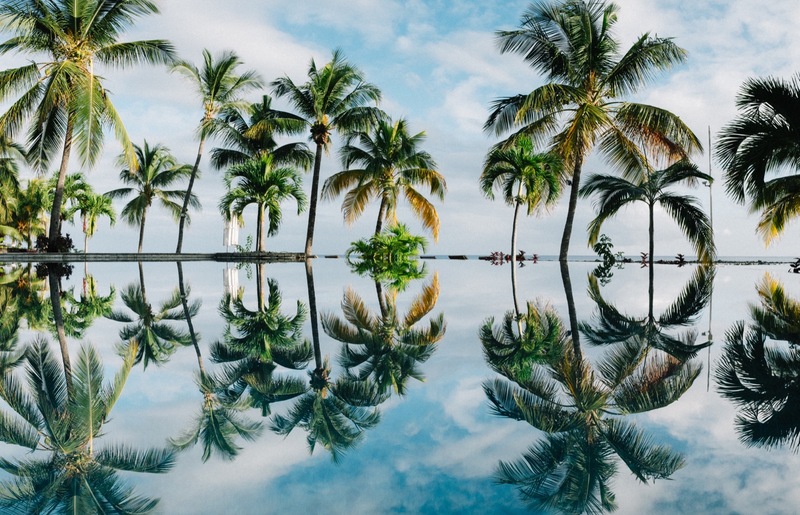 Spend a few days along the beaches at the northern tropical end of the island hiking the coast, and swimming in the beautifully clear waters of the Pacific Ocean. 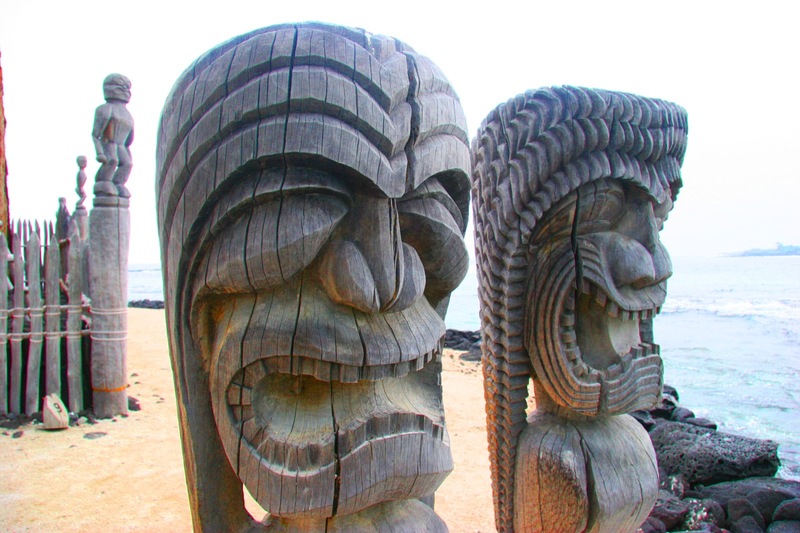 Hawaiian culture and history will fascinate and delight you! Lodging is provided in comfortable cottages and bed and breakfasts. Day 1: Aloha! Welcome to the Big Island of Hawaii. 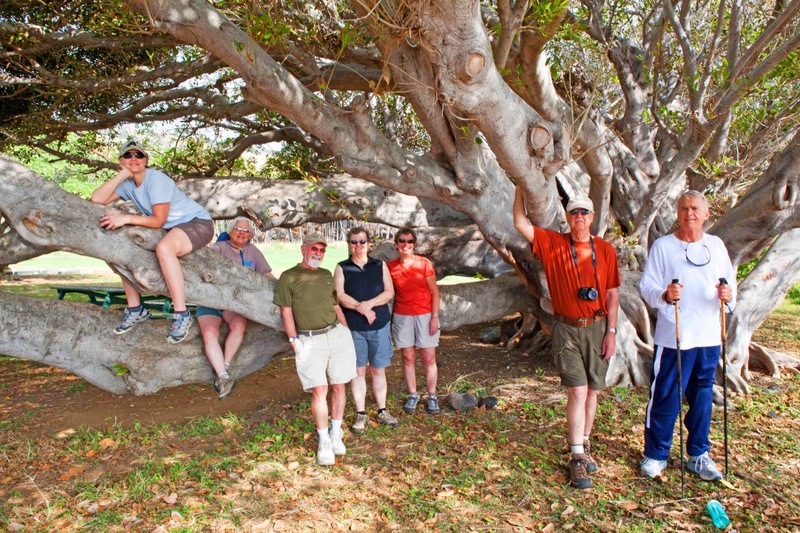 Meet your trip leader at the airport in Kona on the Big Island of Hawaii, then check in to your seaside Kona lodging. In the evening, get to know your fellow participants as you enjoy dinner together, preparing for a week of exploring the Big Island. 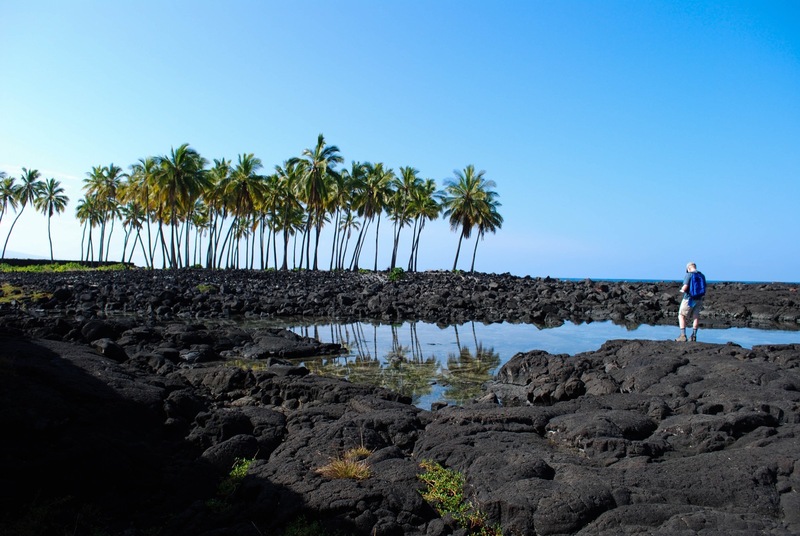 Day 2: Snorkel at Kahaluu Beach and spend the afternoon at the historic Pu'uhonua o Honaunau National Park. Wake up to continental breakfast at your hotel before heading out to spend the morning snorkeling or swimming at Kahaluu Beach. Learn about the types of fish, turtles and marine life in the area while viewing them in their natural habitat. Enjoy lunch with the group before spending the afternoon at the beautiful, historic Pu'uhonua o Honaunau National Park. Here you will explore an ancient Hawaiian village site, hike the 1871 Trail, and even catch a chance to cool off with a nice swim. Return to your lodging in Kona and enjoy another delicious dinner as a group. 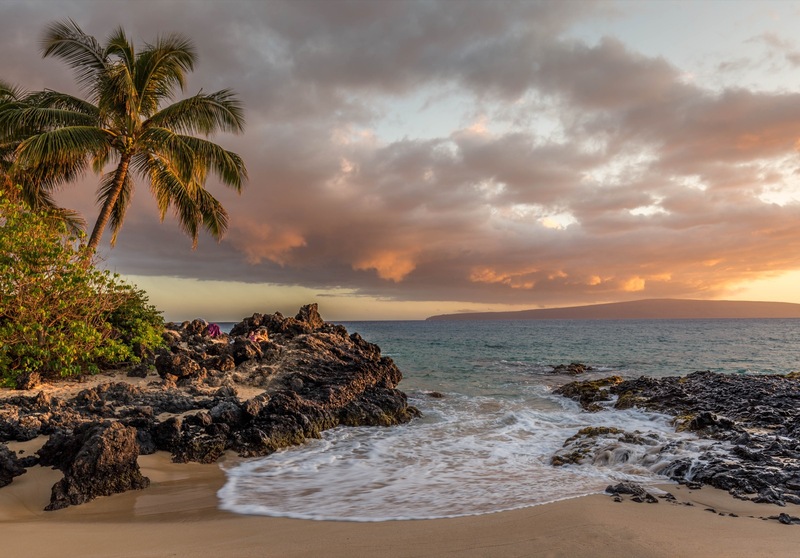 Day 3: Begin your day at Hapuna Beach State Park, followed by a visit to Pu'ukohola Heiau. Rise early to begin travel to the northern end of the Island. 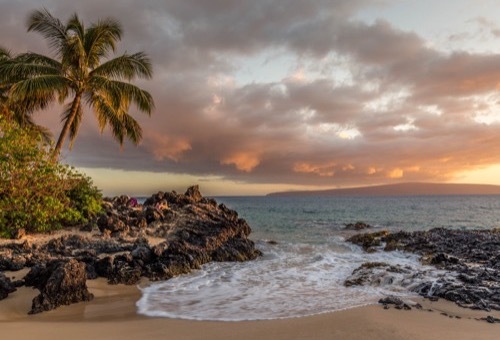 Enjoy morning activities at the gorgeous Hapuna Beach State Park – a spectacular oasis that has earned a reputation as one of Hawaii Island’s finest white sand beaches. In the afternoon you’ll visit Pu'ukohola Heiau- the temple of Kamehameha the Great, and one of the most sacred places in Hawaii. We will end our afternoon with a hike to view ancient pictographs in the area before returning for our final night in Kona. Day 4: Encounter Sea Turtles at the black sand beach at Punalu'u. 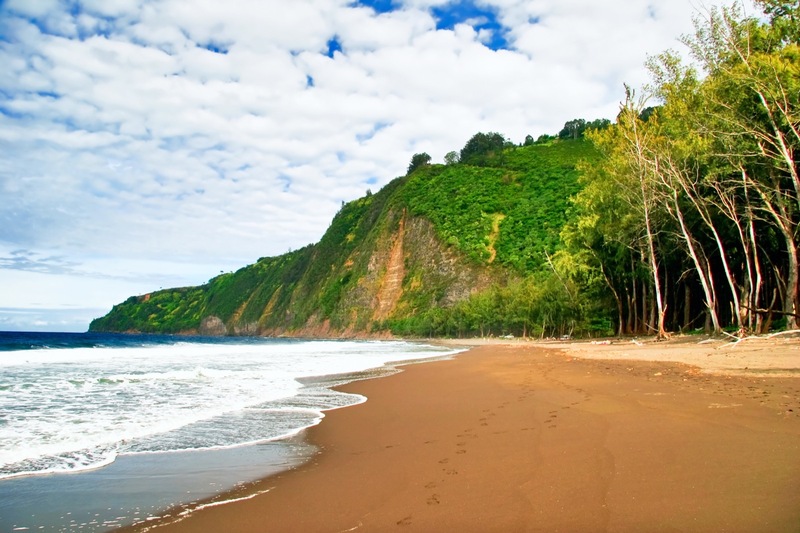 Pack up and head to the beautiful historic park Kaloko-Honokohau. Here we will spend time hiking on a beautiful beach with opportunities to swim and explore tide pools teeming with life. In the afternoon we’ll visit the dramatic Black Sand Beach at Punalu'u where you may see Hawksbill Turtles and Green Sea Turtles munching seaweed and resting on the beach. After your beach explorations, check into locally owned lodging in Pahala. Day 5: Explore the various ecosystems of Volcanoes National Park. Tour a local coffee mill followed by a loop hike into a deep, rarely visited, agricultural valley. Spend the rest of the day in Volcanoes National Park where you will explore a wide range of habitats and ecosystems including rain forests, lava fields, black sand deserts, crater rims, and caldera interiors. Return to your lodging in Pahala for a good night’s rest. 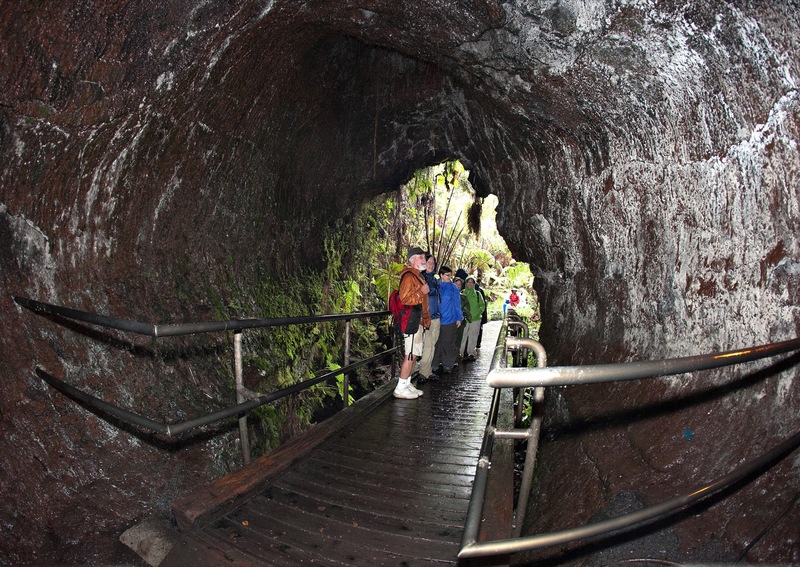 Day 6: Enjoy hikes to the floor of the Kilauea Iki Crater and the Hapu'u fern forest. Rise early to a healthy breakfast, and return to Volcanoes National Park where you will enjoy hikes to the floor of Kilauea Iki crater, the Hapu'u fern forest, and the Pu'u Loa Petroglyphs. From here we will continue our journey west to Hilo for our final night at a Hilo seaside hotel. Day 7: Enjoy one final adventure to Akaka Falls before saying farewell to your trip mates. In the morning, pack your belongings before your final Hawaiian breakfast then head towards the north side of the island on your way back to Kona. If time permits we will stop along the way visiting Akaka Falls and enjoy one last lunch together. Transportation back to the Kona airport will be provided on this day. Mahalo! TERRAIN/ROUTE: Many of the trails on the Big Island of Hawaii are fairly flat and easy, with gentle ups and downs. Others are more rugged. Trails may present obstacles like roots and rocks, and some sections may be steep. Volcanic rock is brittle and sharp, so sturdy shoes are important. To protect the fragile ecosystem, WI uses Leave No Trace travel techniques. TYPE OF TRAVEL/DISTANCE: The emphasis will be on relatively short day hikes, ranging from 1 to 5 miles in length. The pace of the trip is designed to be moderate. You will be hiking in varied terrain and weather conditions. More challenging routes can be provided, depending on group desires. You will carry a small day pack with your lunch, water, and other gear that you want accessible during the day. WEATHER: Temperatures in the interior can range from 40F at night to 85F during the day, with average temps ranging between 65-85F. You will experience a wide range of weather during your trip, including some rain especially on the Hilo side of the Big Island. YOUR GROUP: The group size is typically 7-11 participants, plus one or more Wilderness Inquiry staff. Each group consists of people of various ages, backgrounds, and abilities, including persons with disabilities. Our trips are cooperative in nature. WI staff will assist you in whatever areas you need, however most people pitch in where they can. ACCOMMODATIONS: We will stay in locally run Hawaiian lodges, cottages and hotels. Typically there are 2-3 people per room, matched by gender or requests to room together. In most rooms, solo travelers have single beds and couples share beds. MEALS: We’ll enjoy a variety of meals, some served in local restaurants and others we prepare for ourselves. When cooking together, we’ll work with fresh fruits and vegetables to create great meals with local ingredients. While we will share happy hours together, purchase of alcoholic beverages is not included in the trip fees. This trip begins at the Kona International Airport at 6:00 PM. You will ride in a van driven by WI staff throughout the trip and be returned to the Kona International Airport at 12:00 PM on the last day of the trip. Detailed meeting place instructions will be sent to you when you are confirmed for the trip. 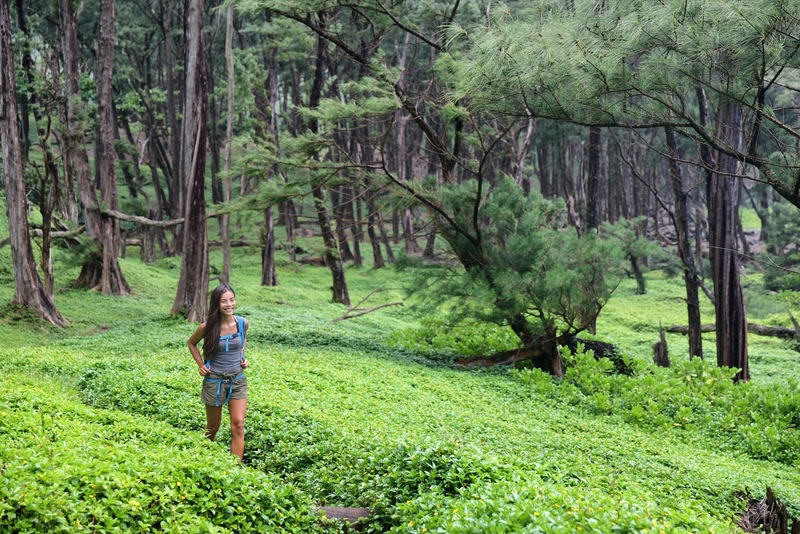 Do you have a single supplement for Hawaii Hike and Explore? You can elect to guarantee a single room for the duration of the trip for $695 during the registration process. 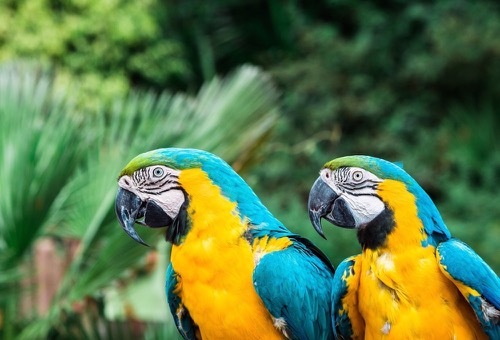 Many people visualize beaches and surfing when they think of Hawaii, but the islands also support a rich and diverse set of tropical ecosystems filled with lush natural beauty, active volcanoes, amazing wildlife, and even designated Wilderness. 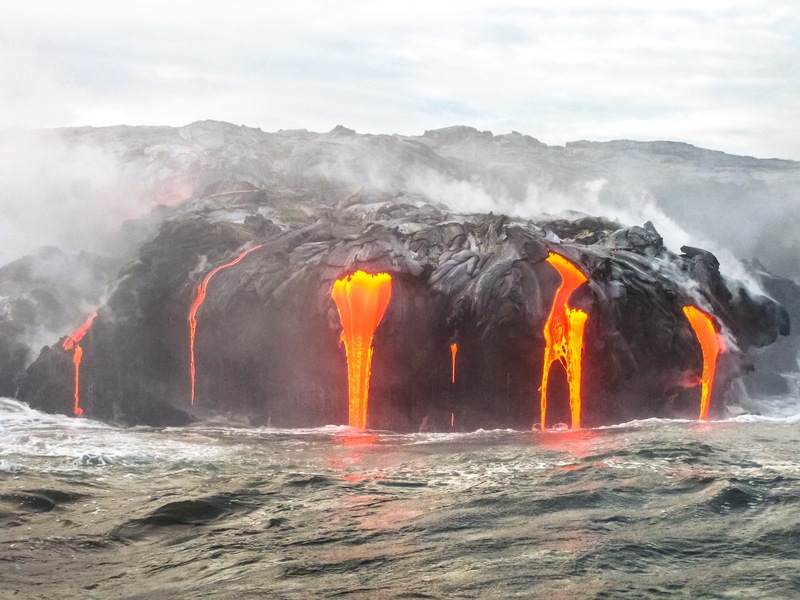 The interior of Hawaii’s Big Island harbors some of the world’s most spectacular volcanoes. Hawaii Volcanoes National Park achieved park designation in 1916, relatively recently in the island’s history. 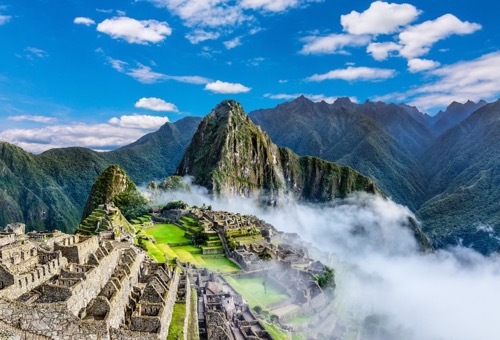 National Park status protects the results of 70 million years of volcanic activity. The park covers 333,000 acres of surface area and almost 14,000 vertical feet, ranging from sea level to the summit of Mauna Loa, the earth’s largest volcano. Measured from the ocean’s floor, it ranks as the tallest mountain on earth, rising about 36,000 feet high. Measured from just sea level, Mauna Loa still reaches an impressive 13,667 feet and makes up half the area of the island of Hawaii. Mauna Loa erupted most recently in 1984, but it remains active beneath the earth’s surface, and a number of other volcanoes in the park also amaze and delight visitors. 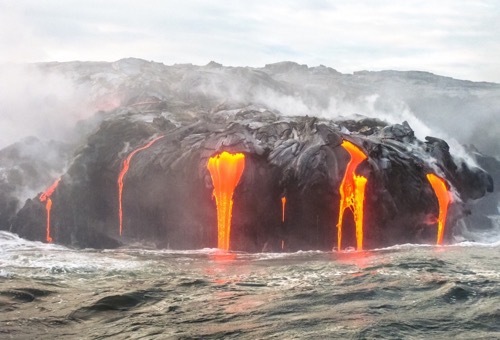 Kilauea, perhaps the earth’s most active volcano, also erupts in Hawaii Volcanoes National Park. One of the island’s youngest volcanoes, Kilauea has a red-hot magma tap that reaches nearly 37 miles into the earth’s interior. Accessibility to the ongoing eruptions of Kilauea Volcano and the periodic eruptions of Mauna Loa offers the opportunity for the scientist and casual observer alike to witness the formation of an array of astounding geologic features including new cinder cones, glowing pit craters, rivers of lava, and fountains of spatter. The park even runs a 24-hour eruption hotline (808-985-6000) so visitors can track volcanic activity. To stay up to date on volcanic activity, visit this site: http://volcanogallery.com/hawaii.htm. These mountains are also home to many Hawaiian myths and legends. Kilauea is the home of Pele, the Hawaiian volcano goddess. According to local legends, she caused eruptions long before Europeans arrived on the island and first saw the volcano in 1823. The significant elevation changes represented on the mountains in Hawaii Volcanoes National Park create a number of distinct climate zones and ecosystems in the islands, habitat for numerous native species like carnivorous caterpillars, happy face spiders, and birds like the colorful Hawaiian honeycreepers. 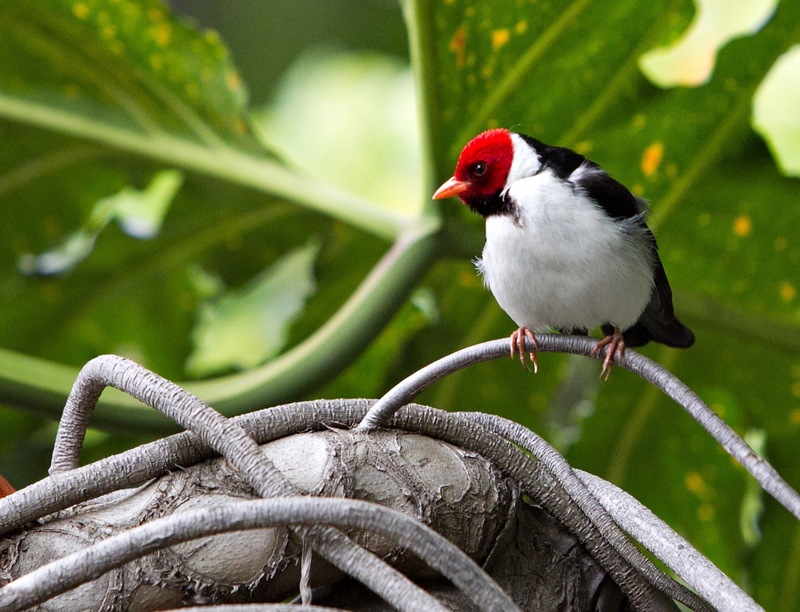 The native flora and fauna on the islands evolved in relative isolation, with limited competition and few predators, so they were ill-equipped to compete with more aggressive species introduced by early Polynesians and Westerners. The islands harbor thousands of species, but nearly half of the 2,400 surviving native plant species remain endangered. Marine animals have fared better, with Hawaiian monk seals, dolphins, and whales in abundant supply year-round, and migrating humpback whales in sight seasonally. Congress designated nearly 131,000 acres of the National Park as the Hawaii Volcanoes Wilderness in 1978, as part of the National Wilderness Preservation System. Recognized worldwide for its outstanding values, Hawaii Volcanoes National Park has also been designated a UNESCO World Heritage Site (1987) and International Biosphere Reserve (1980). 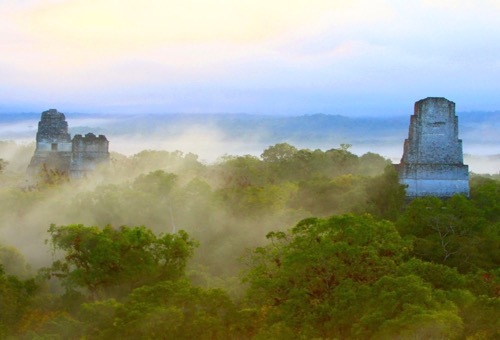 In addition to natural beauty, you will be able to experience some of the fascinating cultural history of the islands. Polynesians discovered the islands about 1,600 years ago, sailing across 2,400 miles of open ocean in large double-hulled canoes. The Polynesians settled on the islands, giving them the name of Hawaii. After immigration from the Polynesian islands ended, a unique Hawaiian culture developed with a rigid caste system. 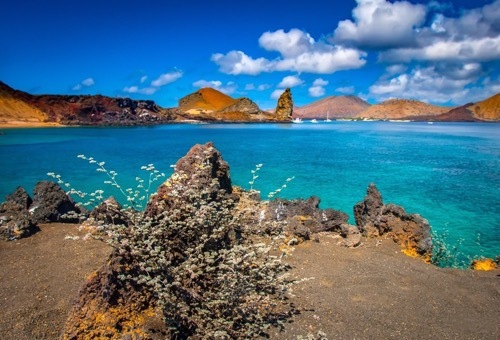 While some people believe that Spanish sailors visited Hawaii in 1627 and described a volcanic eruption in their ship’s log, Captain James Cook usually takes the credit as the first European to visit Hawaii. He arrived in 1778, named the islands the Sandwich Islands, after Britain’s Earl of Sandwich, but was killed the following year in a Big Island land dispute near Kona. Hawaii’s 19th century history followed an accelerated colonial pattern. One king united the Islands in 1810, but thereafter saw a constant influx of missionaries, explorers, farmers, diseases, and exotic species, all changing the traditional Hawaiian way of life. The U.S. annexed Hawaii in 1898 during the Spanish-American War, and Hawaii became a U.S. Territory in 1900. The area played a pivotal role in World War II before becoming the nation’s 50th state in 1959.